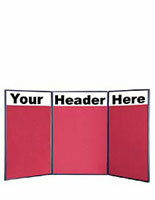 These double sided hook and loop display boards come with a blank header where users can feature custom messaging and logos. 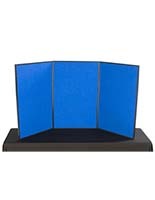 Each popup display also comes with (2) halogen lights that can point directly at advertising and business names, increasing brand awareness. 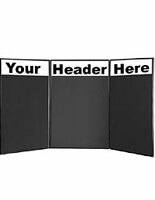 This makes the hook and loop display boards excellent for commercial events like trade shows and expos, where passersby will be able to see them. 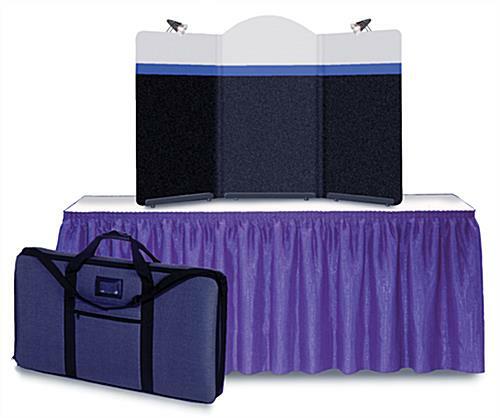 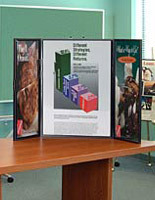 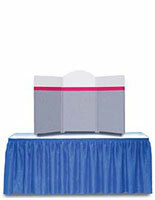 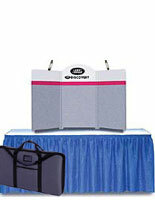 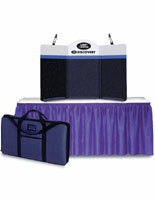 The popup displays with a blank header have a showcase area of 56" x 32" split among 3 panels that fold up for travel. 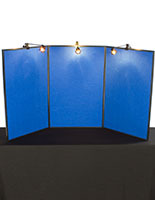 The halogen light display boards additionally come with a carrying case for easy transportation.